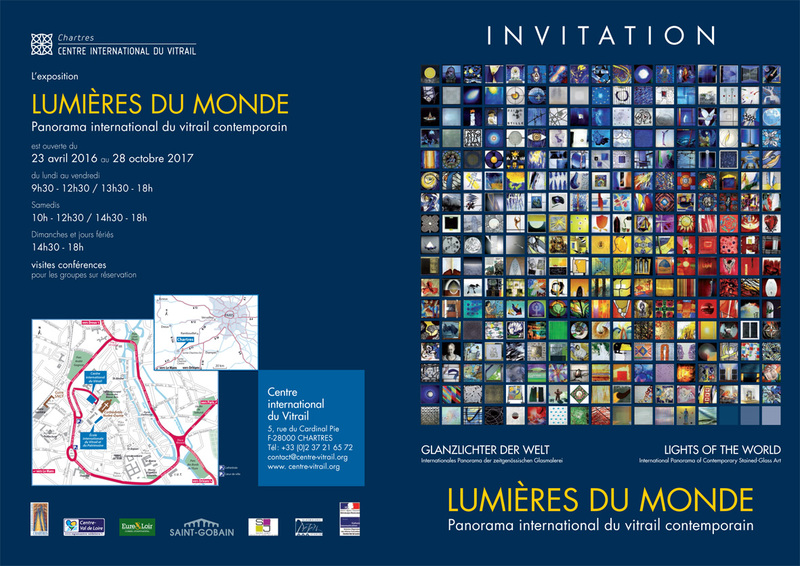 If you are in Chartres France this summer check out “ In Search of the Light of the World” at the Centre International du Vitrail in Chartres France between 23 April 2016 until 28th Oct 2017. Its an “International Panorama of Contemporary Glass-Art” exhibition and I have a glass panel in the show alongside 299 other glass contributors from around the globe. The exhibition is in collaboration with Glasmalerei Peters of Paderborn, Germany.